Is there a tank priority sequence for using the fuel tanks, or does the pilot decide? Which fuel tanks are used in order of priority in aircraft? What you're talking about, in large aircraft, is often referred to as the fuel burn schedule. Light aircraft generally do not have a fuel burn schedule though they may have have minimal requirements. The fuel burn schedule is dictated by the aircraft design and is thus different for different aircraft designs. Is there a sequence of priority? Yes, and if you don't observe the fuel burn schedule you risk exceeding the structural limitations of the aircraft, and in particular wing bending moments. No, the pilot does not decide usually. While there may be some leeway in the fuel burn schedules of large aircraft, the pilot or a flight engineer (old aircraft) or an automated system does not decide but rather implements a preset protocol. On start, taxi, and takeoff burn tank to engine. In other words, route the fuel from main tank 1 to engine 1, main tank 2 to engine 2, etc. Once you're established in your cruise climb, all engines burn out of the center tank if there is fuel in the center tank until the center tank fuel is exhausted (but don't burn any fuel in the center tank that is there for ballast). Burn engines 1 & 2 from main tank 2 and engines 3 & 4 from main tank 3 until the amount of fuel in main tank 2 matches that in main tank 1 and the amount of fuel in main tank 3 matches that in main tank 4. Main tanks 2 & 3 are larger than 1 & 4. When parity is reached, burn tank to engine. At some point transfer the fuel in reserve tank 1 to main tank 1 and reserve tank 4 to main tank 4. Likewise, if you have them, from reserve tank 2 to main tank 2 and reserve tank 3 to main tank 3. Most 747-100/200 aircraft didn't have reserve tanks 2 & 3. You have to get the fuel out of the reserve tanks before landing. Be aware that just as there is a fuel burn schedule, there may also be a fuel loading schedule. In the 747-100/200 that schedule dictated that no fuel goes into the center tank until all other tanks are full. As I remember, the largest center tank available held 114999 lbs of fuel at 6.7 lbs/gal fuel density. Center tank size varied as ordered by the airline and changed through the production run of the aircraft. There is a sequence of priority and it is spelled out in the Aircraft Operations Manual (or similar). For example, in a B757/767 fuel is loaded into the wing tanks first and then if more fuel is required fuel is added to the center tank. During the flight the fuel is used from the center tank first and then the wing tanks. Some light aircraft, e.g. Cessna 310, 402, etc., may have auxiliary fuel tanks in addition to main tanks that are designed to be used in accordance with procedures in the aircraft's flight manual/pilot operating handbook. My G35 Bonanza (and many other, older aircraft) used a pressure carburetor that would return excess fuel to the left main fuel cell. This meant that no matter what fuel cell the engine was consuming fuel from, the carburetor would always be sending the fuel it did not feed to the intake manifold back to that particular fuel cell. If the left main fuel cell were full of fuel, the returned fuel from the carburetor would be vented overboard. 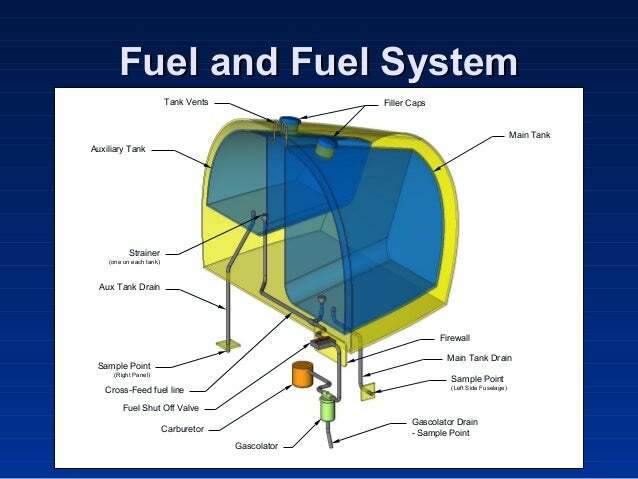 The workaround for this behavior of the fuel system was to consume fuel from the left main fuel cell for at least the first hour of the flight before consuming fuel from the other fuel cells/tanks. This would leave space in the left main fuel cell for the the carburetor return unused fuel without it being vented overboard. I know from flying Robinson model helicopters, specifically the R22 and R44, the main and auxiliary fuel tanks are actually tied together - you burn from both at all times; there is only a master shutoff, there is no tank selector. Yes there is often a prescribed sequence. Sometimes it has to do with wing bending moments; often it has to do with the fore-and-aft location of the CG. For example my understanding is that the P-51D (and C?) Mustangs were rather unpleasant to fly while the aftmost tank was full of fuel, so some fuel from that tank would typically be consumed even before using any fuel from the drop tanks. And sometimes it just has to do with the plumbing of the fuel system. For example if only tank A is directly connected to the engine, you wouldn't want to forget to transfer some fuel from tank B to tank A before tank A runs dry. Sometimes one tank feeds more reliably than others due to where the boost pump is located so it is wise (and prescribed in the manual) to use that tank for take-off. Etc. Yes! When you are filling up the aircraft and you use the centre tanks, it then means that the pilot has to use the centre tanks first before the 1 or 2 wing tanks are selected, and to keep checking to make sure the tanks are balanced according to the manufacturer’s procedure. Not the answer you're looking for? Browse other questions tagged fuel-tanks fuel-systems aircraft-operations or ask your own question. How prevalent are anti-explosion bladders in fuel tanks? 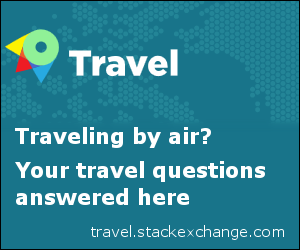 What is the capacity of the vent surge tank in an A320? Do fuel tank locations on the wing cause a potential for weight imbalance? How are fuel tanks tested and certified? Why are fuel tanks in the wings filled first, and why are they used last? How are wing tanks sealed around the internal wing structure? Is there any work on improving fuel tanks so they could store hydrogen?